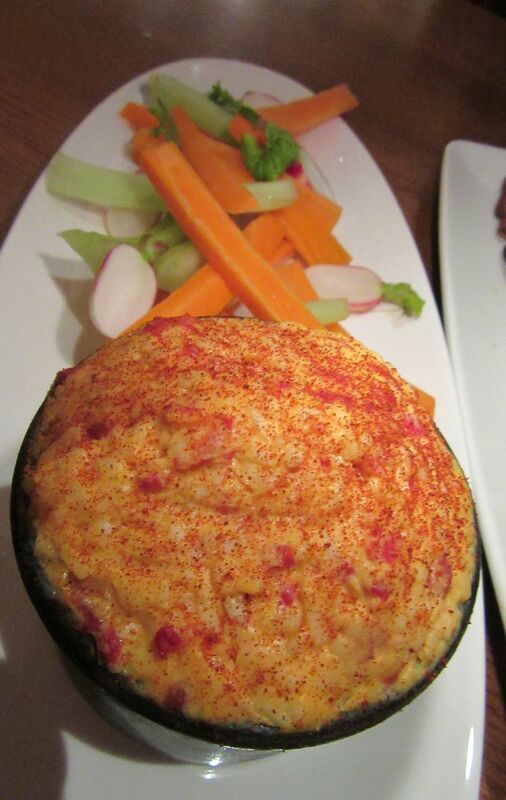 In 1908 Good Housekeeping published a recipe that called for cream cheese and pimentos. That’s all I know. Hudson Yards mega-complex opened a little to everyone Friday. I passed by on the West Side Highway en route to dinner downtown and spotted eager explorers climbing all over the Vessel, the sculpture next door to the Shops and Restaurants mall. Vessel is just the temporary name. They are offering a prize for someone brilliant enough to suggest a permanent one. 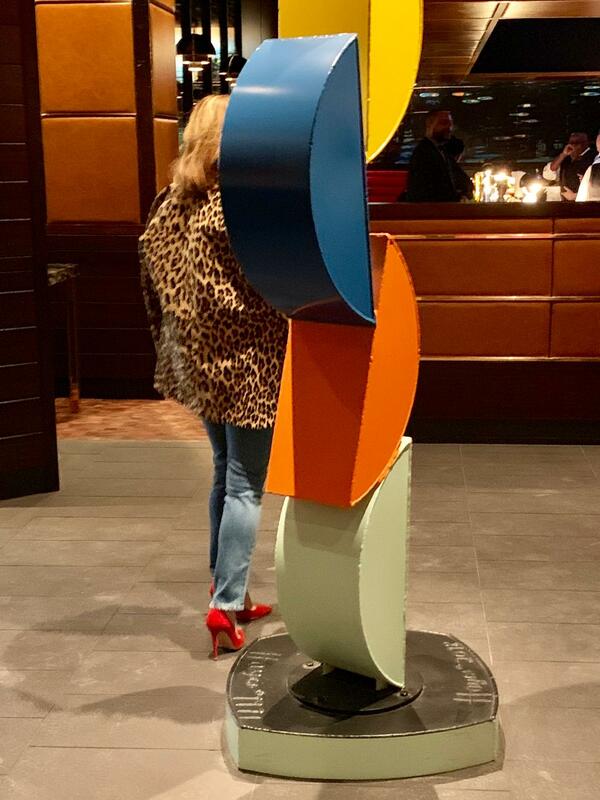 This Hudson Yards marker is called The Vessel until someone comes up with a better name. I call it the Monster. Not likely a winner. Tonight from the highway, the explorers are so small and the Monster so big I am reminded of Gulliver and the Lilliputians. I doubt they’ll want to name it for Gulliver. Maybe Lost in Paradise would be good. Or Late for Lunch. Or Just Charge It, Please. I don’t feel I need to be at the official opening since I got to explore, get lost, and taste a free steak last Tuesday. 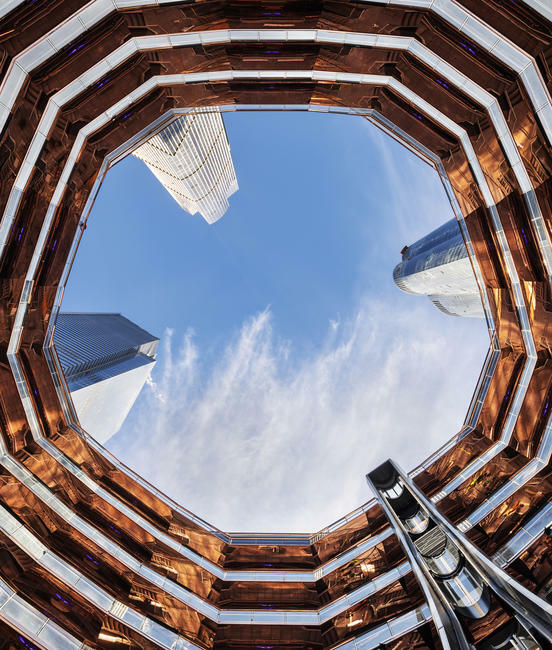 A view of Hudson Yards Grill from the coat check. Does this tell you anything? It was my friend Josh’s birthday and he was curious to see Hudson Yards, not yet officially open. Of course, he expected that would be no big trick for me to arrange. And it’s true: as press and internet scribbler, I was invited to the preamble on Thursday. Since I eat out every night of the week, often the route to dinner is downtown on the highway and I’ve watched the commercial village sprouting. My favorite view from my favorite table at Porter House Bar and Grill. “Are you doing friends and family previews?” I emailed chef Michael Lomonaco. 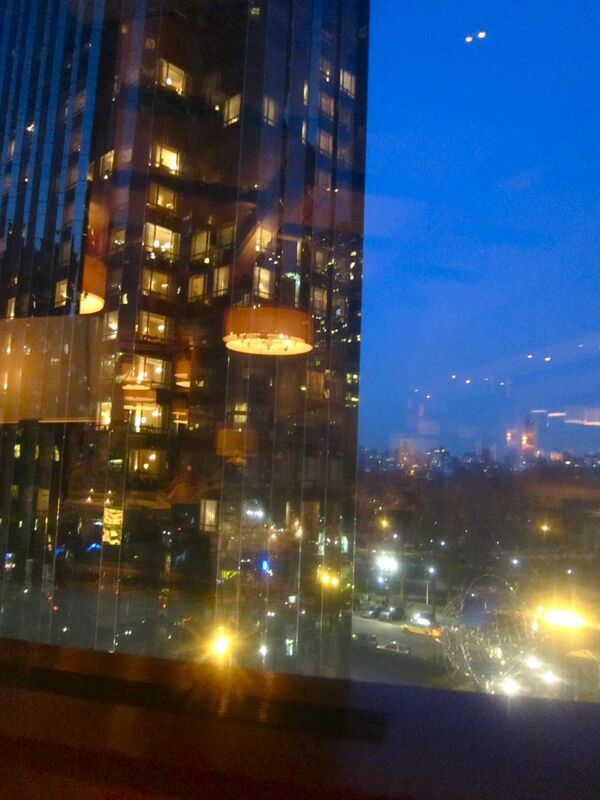 The table at the window overlooking Columbus Circle is my post of choice at Chef Lomonaco’s Porter House Bar and Grill. I’ve known him forever, from his days as executive chef at Windows on the World and the intimacy of Wild Blue, an escape on the 65th floor overlooking the harbor. There, his beer-braised beef cheeks and giant lamb T-bones lured sophisticated diners who wouldn’t be seen at Windows. 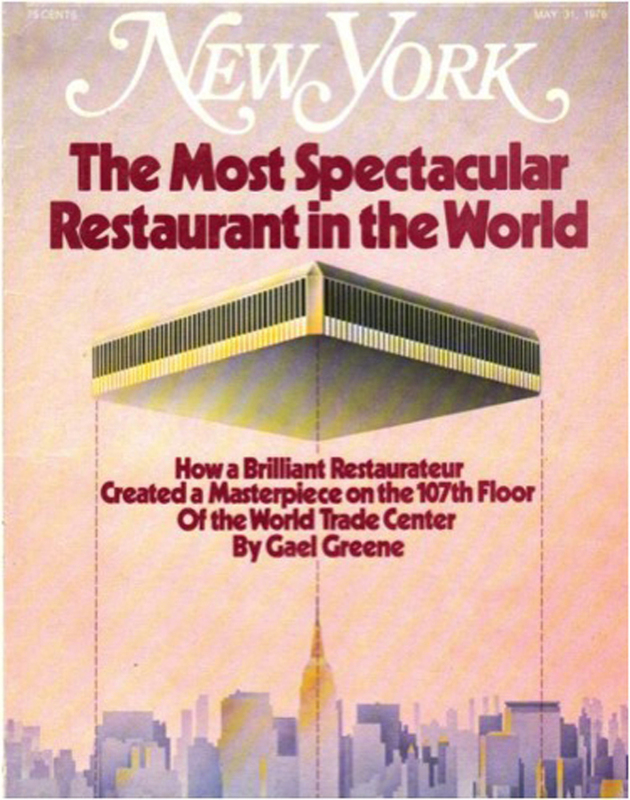 Here’s the 1976 cover of the story I wrote for New York magazine before Windows-on-the-World opened. 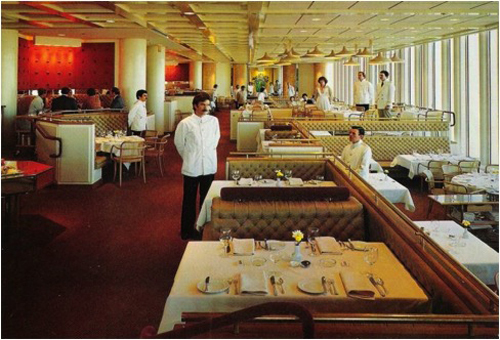 Windows-on-the-World was a new reason for restaurant followers to come downtown. That was before the tragedy of 9/11. I think of that as the day Michael Lomonaco was born. That’s because he stopped to pick up his glasses from the lobby shop and missed the suicidal plane that would shear off the top of the World Trade Center, killing everyone at Windows and sending the skyscraper crumpling to the ground. 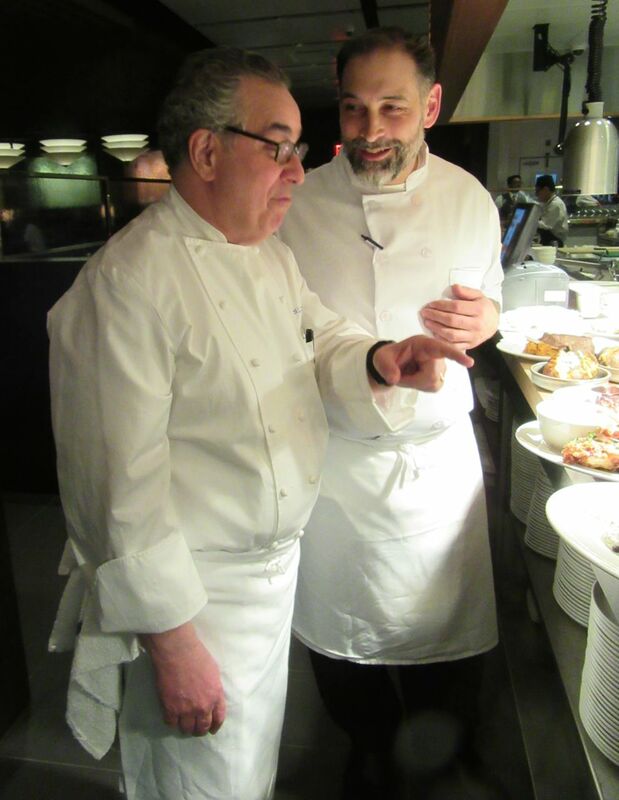 Watching Michael Lomonoco conferring with Hudson Yards Grill chef de cuisine, Brian Mattola. He escaped, ran, covered with dust. Born again. The image still comes to me years later when I see him emerge from the kitchen at Porter House in his whites. Smiling, always smiling. And why not? Tonight I can see him standing beside chef de cuisine Brian Mottola from our bare, wood-topped table at the Bentel & Bentel art-filled Hudson Yards Grill. A full house and waiters-in-training keep the counter crowded with plates ready-to-go. 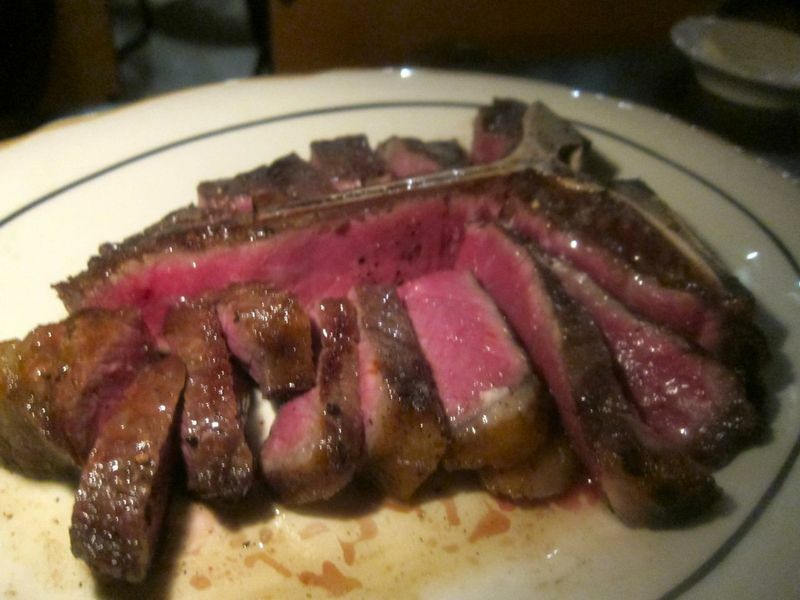 There is no secret why Lomonaco was chosen to deliver the popular steakhouse goods at the Time Warner complex and signed up here to do a mid-priced, unfussy American brasserie. 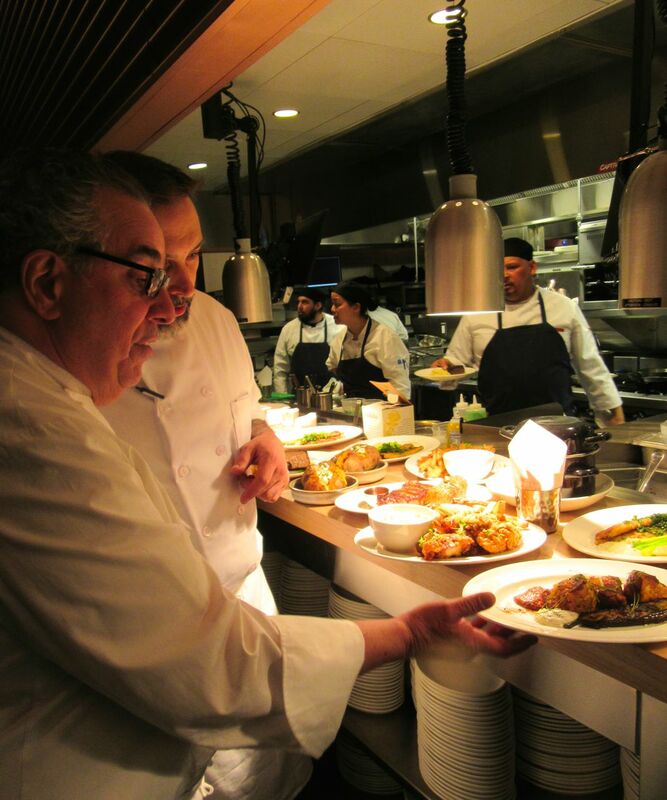 Chris Himmel, the chef’s business partner and friend for fifteen years, is the son of Related Companies’ urban chef wrangler, Kenneth Himmel. Related chairman Stephen M. Ross and Himmel are among the individual investors in the Grill, as they are at many of the Time Warner restaurants including Porter House, and Himmel Hospitality Group is a partner. 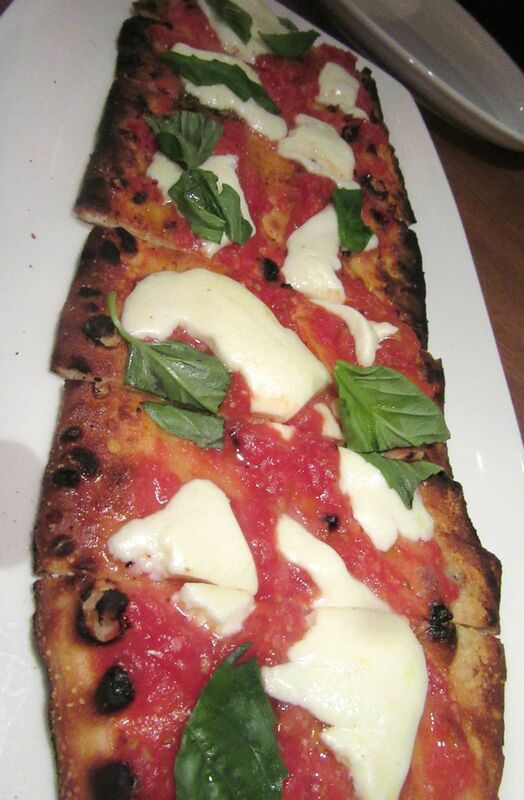 The pizza to start was my idea. It was good enough, but I should have asked for a salad too. The elevated window table overlooking Central Park and Columbus Circle is where I almost always go when I want to eat cow. It’s where my family had Christmas dinner. It’s where friends took me for my birthday. So the first surprise at Hudson Yards Grill is that there is no view. No windows at all. The savvy steak waiters who indulge our quirks at Porter House remain at that upscale chophouse and cadets are interning here. Every year on his birthday, my friend’s mother made him a filet mignon. So of course, that’s what he wants. The new Grill offers sushi and maki, tacos and French dip roast beef. The double stack cheeseburger with fries is already legend. You watch trays of it sailing around the maze of booths. Lomonaco has said he hopes the occupants of Hudson Yards will be by for burger lunches three or four times a week once mid-day service begins on March 26. My usual steak preference is a sirloin strip, rare. It’s meaty and not as fatty as ribeye. Prices are lower here, too. We could have sampled salmon, roasted monkfish or pan-fried “True” Dover sole, buttermilk fried chicken or a bird turning on the rotisserie. But meat seemed essential. 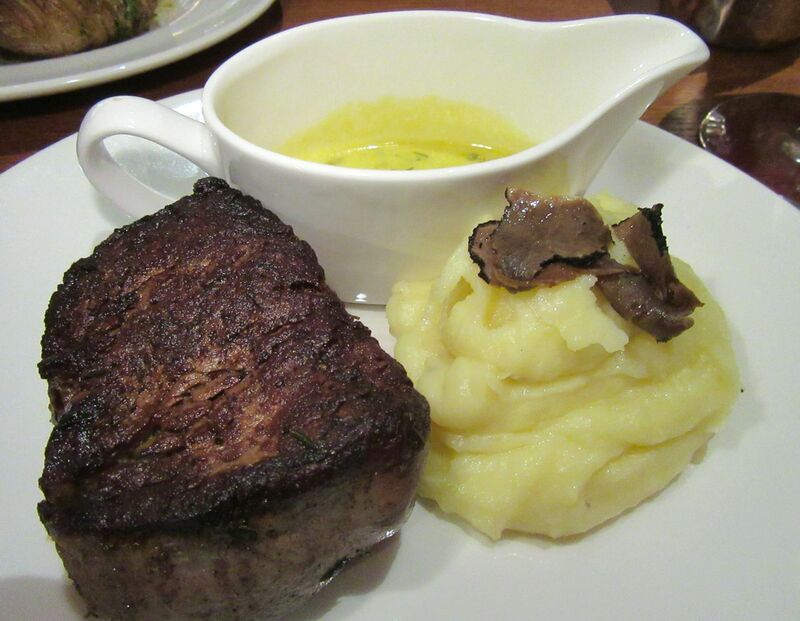 Josh’s birthday center cut filet with truffle mashed potatoes is $52 (it’s $60 at Porter House where the prime New York Strip is $67). 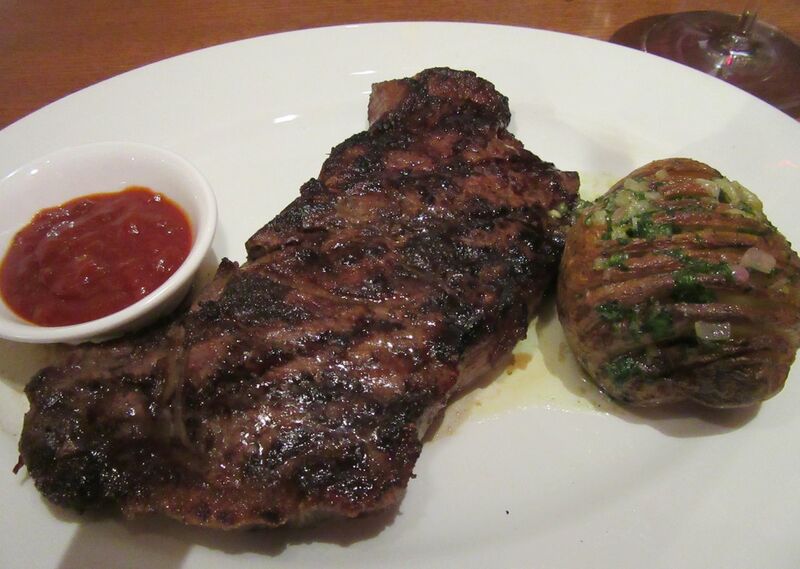 My strip tonight with a not-quite-crunchy-enough hasselback potato, is $55. I wanted a loaded baked potato but he wanted fries and, after all, it was his birthday. 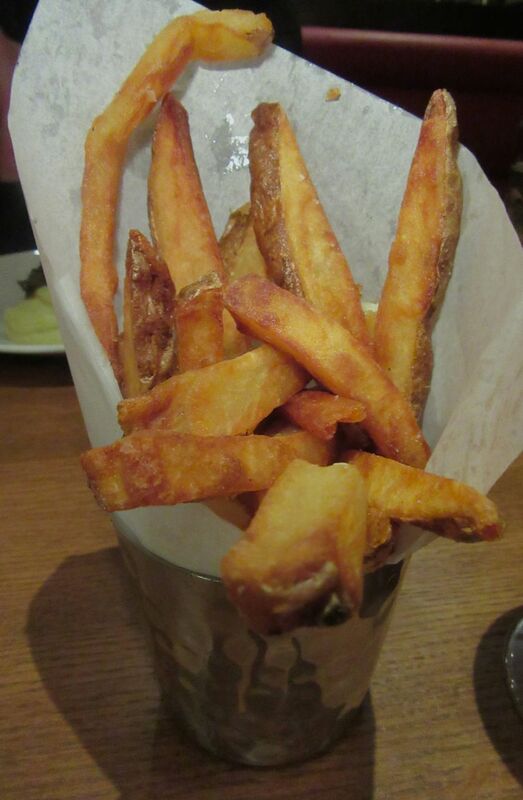 Even the hand-cut fries are less expensive. Gnarled and uneven, but very good. We ask, and the waiter brings little dishes of catsup and mayo for dipping. 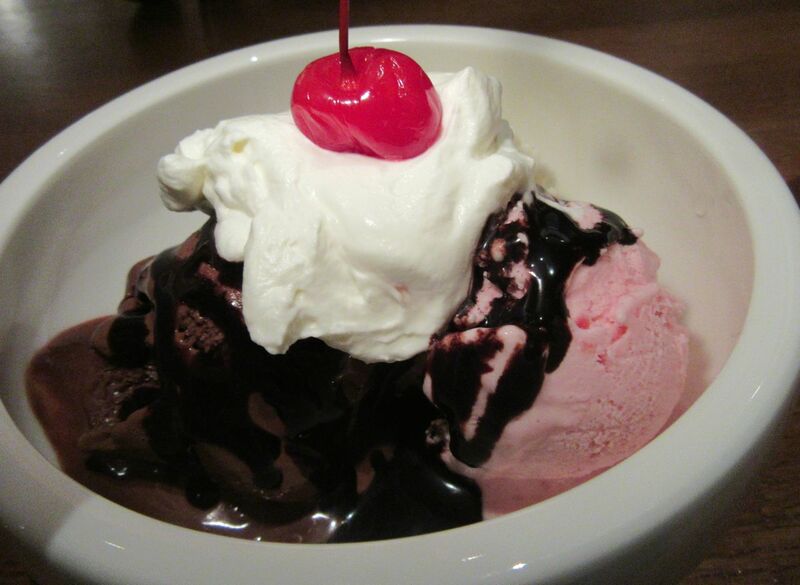 Josh lets me choose dessert: milk chocolate ice cream sundae. It is perfectly fine but suggests that Porter House’s star dessert chef, Wayne Harley Brachman, is not in the crew here. 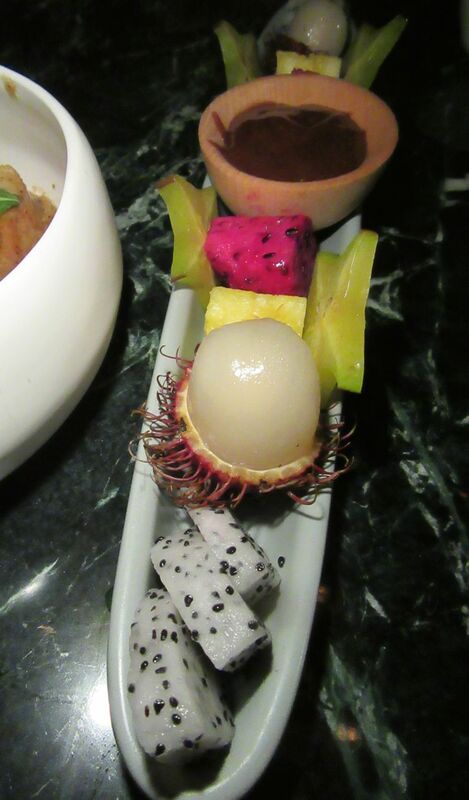 The seduction of global dining here is still to come. The milk chocolate sundae was good enough but not as good as it is at Porter House. 20 Hudson Yards, 4th Floor. 500 West 33rd Street. 212 545 7600. Seven days a week 5pm to 10 pm. Lunch begins March 26.